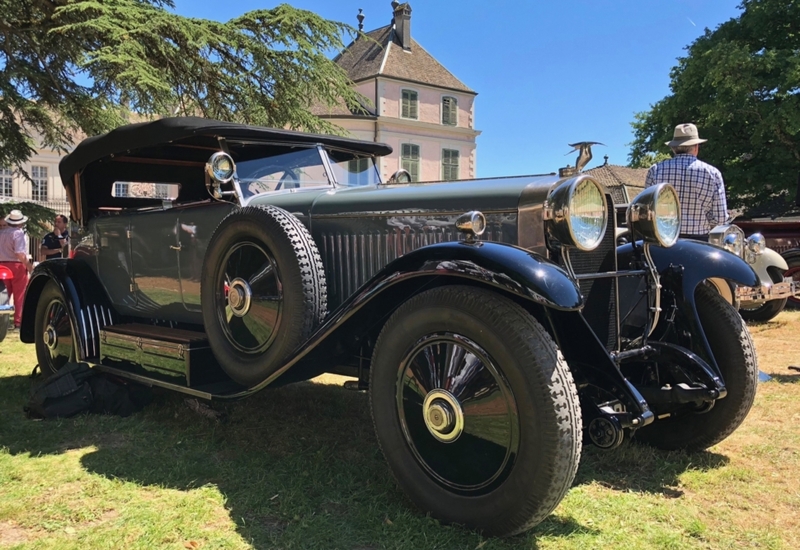 Concours d’Elégance Suisse 2018 is a spectacular event, that displays exclusive selection of classic cars. It also pays tribute to the automobile heritage and mechanical engineering. This year, the performance took place on June 22 – 24, at the beautiful Château de Coppet, located on the shores of the Lake Geneva. Walking in the beautiful gardens of the castle, guests could discover unique classic cars rarely seen in public. My favourite classic cars are from 1930s. What is yours? You welcome to share in the comment below the article. Concours d’Elégance Suisse has been taken place for the third time this year. The selection of the cars covers different time frames, from 1920s to 1980s. Moreover, different historical events were marked by special automobiles, like 40th anniversary of the Paris-Dakar Rally. Visitors had a rare opportunity to see not just one but two Bugatti 57s Atalante. The special jury chose the best cars in different categories. Furthermore, “the best of the show” was announced on Sunday. The winner and “the best of the show” was Alfa Romeo 6C 2300 BMM, 1939. Besides gorgeous automobiles, I discovered beautiful vintage timepieces from Breitling and vintage exquisite cognac LOUIS XIII. I want to share some information about the last one. Many (me included) could recognise its signature bottle, but not many know key details that shape this luxurious cognac. It was first created in 1874 by Paul-Émile Rémy Martin. The cognac is an exquisite blend of 1,200 grapes eaux-de-vie sourced 100% from Grande Champagne. Each decanter contains the hundred years old cognac. Moreover, each individually numbered decanter is handmade from fine crystal glass. I liked its soft texture and rich flavours. Thanks to its delicate structure, I think ladies would enjoy this cognac just as much as gentlemen. Tip on tasting: the best way to discover this unique spirit is drinking slow, almost drop by drop. Start with preparing your senses and palettes by taking one drop of cognac between your lips. In that case, further drops will open a deep bouquet of flavours. It was an exquisite event, that gathers together international automobile historians, drivers and passionate collectors from all over the world! Don’t miss the next Concours d’Elégance Suisse.